In this project, we'll use an Adafruit Circuit Playground to light up a cheap halloween prop. This oversized skull also spews out misty cool fog using a humidifier. This DIY project doesn't require any soldering so it's very beginner friendly. Using a mister is clean and safe for the kids so it’s cool for them to play with it and okay if they put their hands in it. I think adding electronics to cheap halloween props is a lot of fun and great way to introduce DIY projects to your friends and family. The Circuit Playground has lots of sensors on board so you can make it interactive. 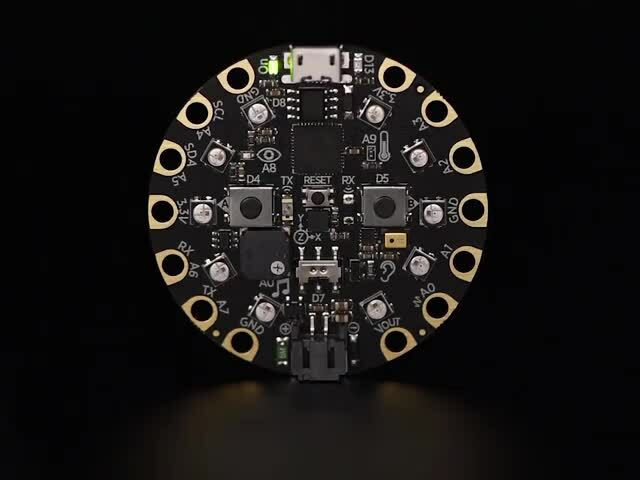 The Adafruit Circuit Playground features 10 smart RGB NeoPixel LEDs that can fade between many colors. It ships with preprogrammed rainbow effects, so there's no programming required! It's a great way to get started with DIY electronics and LEDs. You'll need a few handy tools to help building this project. All of the parts are available to purchase using the links below. 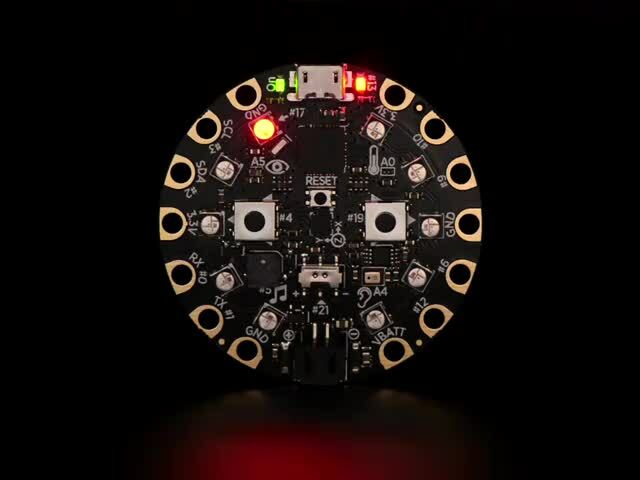 You can program the Adafruit Circuit Playground by following the tutorial. There's a ton of great example programs you can upload easily using The Make Code Website or Circuit Python for more advanced programming. You can optional 3D Print our Circuit Playground case to make it easier to power it on and off using a battery and switch. This will protect the board and make it easier to toss into just about any object. Start by looking for the screws located on the back of the skull. 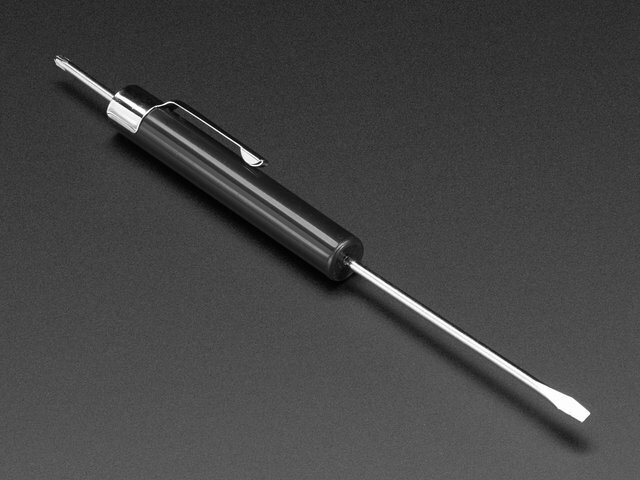 There are 6 machine screws that are counterbored and secure the pieces – You need a screwdriver with a long shaft to remove them. Keep the screws handy as we'll need to reuse them when putting it back together. Carefully pull the two halves apart and remove the cover and bowl. The candy bowl features a lip that slides in and out of the edges from the two halves. We won't need the bottom cover so we can discard it for now. Grab the candy bowl piece and locate a good spot for the wire to come out from. I picked a spot near the lower bottom of the bowl. You'll want to familiarize yourself with the orientation so you can mark a spot relate to the front and back facing side. Use a rotary power tool with a drill bit to make a pilot hole. Then, switch out the bit for a larger tool – We need to make a larger enough hole to fit the plunger that is installed on the power cable. You can use an x-acto blade to cut through the plastic. You’ll want to do a few test fittings to ensure the connector and plunger from the power cable can fit through the hole. Insert the connector from the power cable through the inside of the candy bowl and pull the wire all the way through until the plunger reaches the hole. Press the plunger through the hole until the flange is flush with the surface of the candy bowl. If you can't squeeze the plunger through, you'll need to make the hole wider. To make sure we don’t get any leaks, It’s a good idea to add hot glue around the edge of the plunger to give it a watertight seal. Add some water to the candy bowl and see if there's any leaks. If you find it starts dripping, you'll need to empty out the bowl and add some more hot glue. You want to make sure we don’t get any water out and potentially on the electronics. You can add a few pieces of mounting putty to the humidifier to secure it to the bottom of the candy bowl – This will prevent it from floating and moving around once inside with water. I suggest installing the water diffuser to avoid water droplets from getting outside of the candy bowl and onto your tables surface. It may or may not be included with your humidifier. You can fashion your own with aluminum foil – It's a little that platform suspends over the top of the humidifier and blocks waters droplets. Put the parts back together but leave out the bottom cover. Slide the candy bowl back onto the two halves and orient so they fit back together. Insert and fasten the machine screws back to secure the parts. I used a cut off wheel to make a two notch on the bottom of the skull. 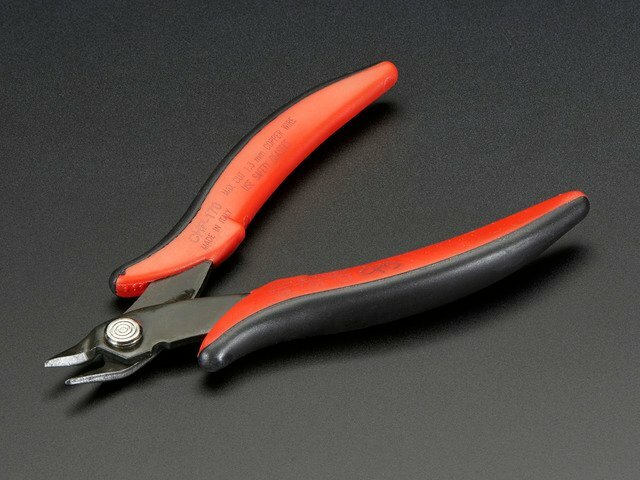 Then, I used a pair of cutters to remove a piece of plastic. You can use this cutout for the power cable to fit through so it doesn't get kinked when it's placed down. A bit of hot glue can be used for strain relief. Now you can add water to the candy bowl and test it out! You'll need enough to fully submerge the ultrasonic humidifier. You'll need to plugin the connector from the humidifier to the power adapter that was included. It should instantly light up and spew out mist – That's how you'll know if it has enough water. You may find the LEDs from the humidifier just isn't bright enough to fully illuminate the entire skull. For that, the Circuit Playground's super bright LEDs will make the whole thing glow! There's plenty of room inside the skull for a multitude of different light sources. This guide was first published on Oct 18, 2017. It was last updated on Oct 18, 2017.